Do you need to insulate an office or other commercial building being constructed in the Washington, DC metropolitan area? Accurate Insulation can help! We are experts when it comes to insulation and energy solutions for all types of buildings—offices, warehouses, etc. 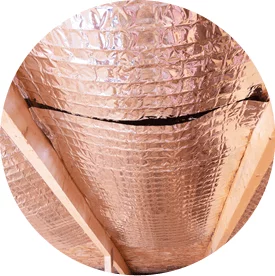 When the Accurate Insulation team installs insulation in a new office or commercial building, we will get the job done right, on time and safely. We offer the knowledge, experience and resources that few companies can match. Fiberglass (batts and blown-in): Fiberglass, which has been used to insulate structures for decades, is available as loose-fill or batts. Fiberglass is made of tiny glass fibers and is often installed in attics but can be used to insulate walls and crawl spaces as well. Cellulose (loose-fill): Cellulose is environmentally friendly—it consists of up to 85 percent recycled material and takes less energy to make than other insulation materials and can be installed in walls of commercial buildings. Rigid board: Rigid board, or rigid foam, insulation can be made of polystyrene, polyisocyanurate or polyurethane and is typically installed in new buildings. Vinyl: Vinyl insulation can be installed in metal and commercial buildings to help maximize energy efficiency. We have worked with many builders and contractors to make sure new buildings are as energy-efficient and comfortable as possible with the right insulation. No matter what type of new building you need insulation for, Accurate Insulation is a good name to know. We are located in Upper Marlboro and Hagerstown but our service area extends to the entire Washington, DC metropolitan area. 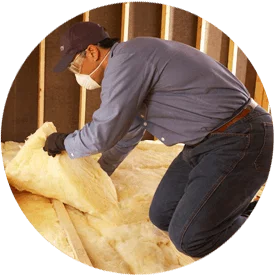 Contact us today to learn more about our services or if you’re ready to install insulation in your building. We’re looking forward to helping you with your project!